Here at Digifish we create original and compelling films and animations for a range of clients, but one of our passions is working with museums, galleries, arts and heritage organisations. We absolutely love seeing the best of today’s technology being used to bring the past to life and we believe there’s no better way of achieving this than through films, documentaries, docudramas, exhibition pieces and animations. We also love helping our clients give people of all ages and backgrounds the opportunity to access, experience and appreciate different types of visual and performance arts through our work. It’s incredibly rewarding when we see the heritage and cultural sector using videos that we’ve produced to help people see new perspectives, challenge their own cultural attitudes and perceptions and open their minds to new ways of thinking. Whatever your goals, we have a very talented in-house team that provides a full and seamless service from initial planning to delivery of video and animation services and we would be delighted to hear from you to discuss your ideas. We’ve been working with clients in the heritage and culture sector for many years, offering different approaches to film making to support museum curators, archivists, historians & oral historians, education teams and young people directly. Our work has included a number of projects including long-form and short-form documentaries (both scripted and un-scripted); live event coverage, such as re-enactments; educational projects; information about particular exhibits; and commercials. Whatever you want to achieve, our approach is to work with you to establish your needs and then put the right people forward to work with you on the project. We have a genuine passion for culture and history within our team, so we absolutely love every stage from hearing your initial brief and researching the subject matter through all the planning and, ultimately, seeing the project come to life on screen in the best possible format to meet your objectives and budget. The team at Digifish continue to create dynamic high quality films for Leeds Museums & Galleries, their sensitive and professional approach are integral to our work. We’ve worked on an impressive number of projects which have all had very different goals, but all support the vital work done by the heritage and culture sector in our country to make arts, knowledge and experiences accessible to all. From bringing historic events to life to preserving modern history for future generations we have the in-house skills and experience in a range of leading edge video and animation techniques to bring your story alive. Here are just a few examples of some of the museum video production projects we’ve delivered to date. Working with the Yorkshire Museum to produce a series of films helping primary school children from a range of backgrounds access content and knowledge they otherwise wouldn’t have the opportunity to experience. 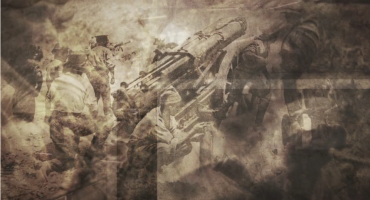 Working with the Armed Forces Museum to produce a series of educational resource films covering different conflicts throughout history, including the development of scripts in line with the appropriate key stages of the National Curriculum. Teaching students of History at York St John University to make a history film to help them learn the topic through the experience. See more about our education video production here. 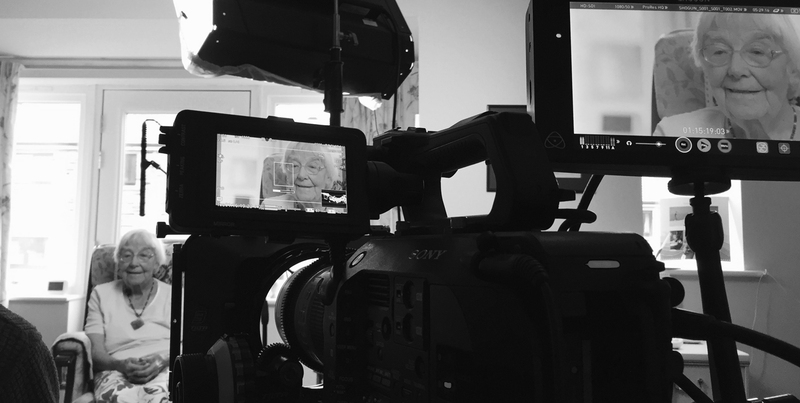 Working with the Holocaust Survivors Friendship Association (HSFA) to conduct sensitive interviews with living survivors and capture their harrowing stories to preserve their memories and accounts for national archives. Working with Leeds Museum to deliver a Voices of Asia project capturing an essence of today’s cultural expressions of music and dance for future generations to experience. Working with the Museums, Libraries and Archives Council (MLA) to deliver films as part of ‘Precious Cargo’, Yorkshire's Cultural Olympiad project in which young people worked with museums to create their own exhibitions based on the region's collections. Working with various museums to produce short informational videos to display on screens next to various artefacts. From the lives of mediaeval monks to gladiatorial games, we’ve filmed many re-enactments for clients including the British Museum, Thackray Museum, Scarborough Museum and Sheffield Museum. Working with The Girl Guides Association to produce a documentary film of the history of the Association, using cutting edge parallax techniques to bring old images to life as well as interviewing a number of present day and former members of all ages. Working with museums such as Castle Museum and Yorkshire Museum to produce online commercials. The process always begins by working with you to understand your audience, subject and goals. 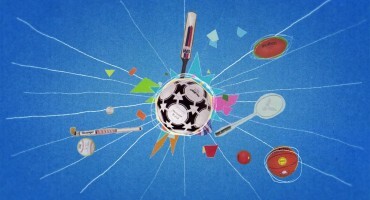 We then prepare a proposal, in line with your budget, outlining how we see the project coming to life through video and/or animation techniques. Research plays a vital role in this kind of video content to ensure factual accuracy as well as the right tone where there are particularly sensitive subjects. On getting the go ahead to work with a client on such a project, our scriptwriters take on this responsibility which then helps the team outline, storyboard and (if appropriate) script your film or animation ready for production. We work together as a team with our clients throughout any project to ensure you’re 100% happy at every single stage of the project’s development. We genuinely love working on museum video productions. Being entrusted with the responsibility of making history and culture interesting and accessible for today’s audiences and preserving our present day ‘history in the making’ for future generations is a privilege. If you have any such video content requirement or are interested in a documentary film production, we really hope you will get in touch. Drop us an email or pick up the phone and call 0330 024 0082 – we would love to hear from you.